Ok, you’ve done the easy bit and asked your girlfriend to marry you. Now things get really tricky. 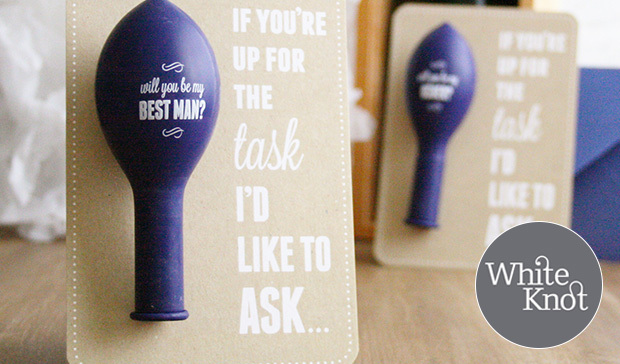 Just how do you ask your best mate to be your best man? Going down on one knee? Too formal. Hire a flashmob? Too much. On his favourite beach? Too weird. 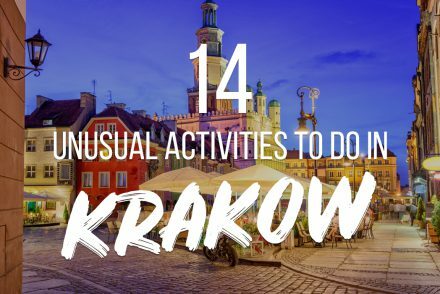 Plus you don’t want your bride-to-be to feel overshadowed (despite the fact you took her to see the latest Star Wars movie, treated her to a McMeal and then took her to the exact spot where you ordered your first take away together as boyfriend and girlfriend). 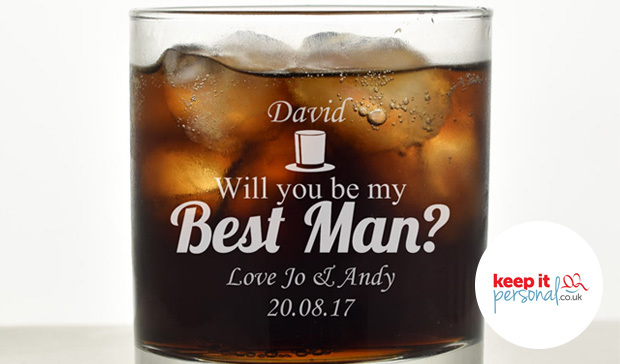 Smart, stylish and a great way of giving him a taste of things to come and a clue to your good news before you pop the question. 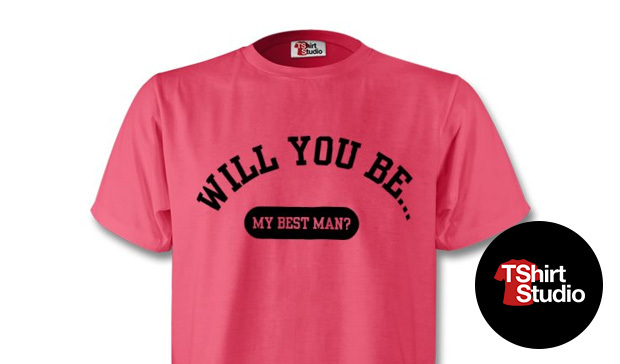 “Will you be my best man? 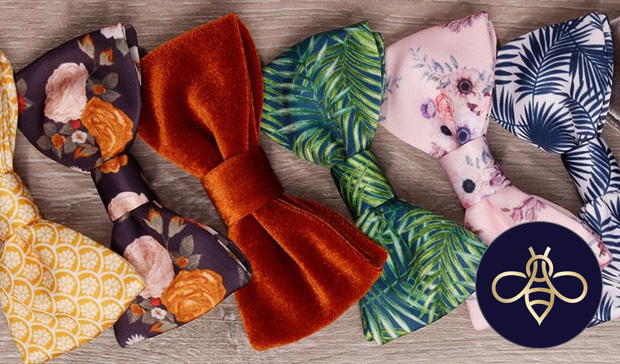 And do you promise to wear this and look smart for once?” Enjoy first class service and a fantastic range of designs from Mrs Bow Tie. 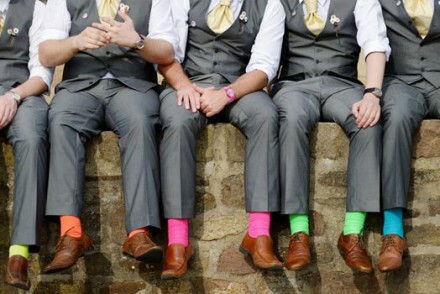 There are just so many reasons we love Super Socks and have been huge fans for sometime, but as a way of proposing to your best man they’re ideal. Either spell it out with a words for him or get him a pair of ‘face mash’ socks. 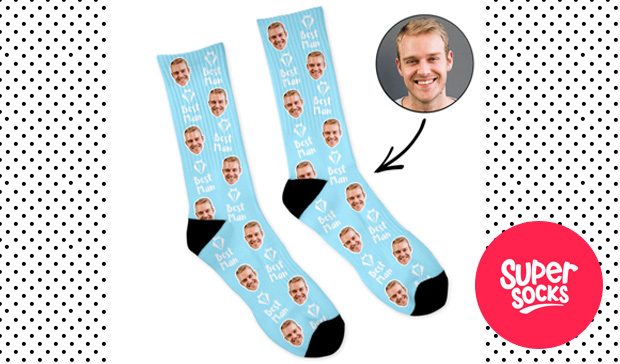 It’s the perfect way to celebrate your bromance. After all the times he’s left you with an empty glass (the round-shy, barman dodging, cheapskate!) presenting him with an empty glass might be quite fitting. Especially if he’s a whisky fan. 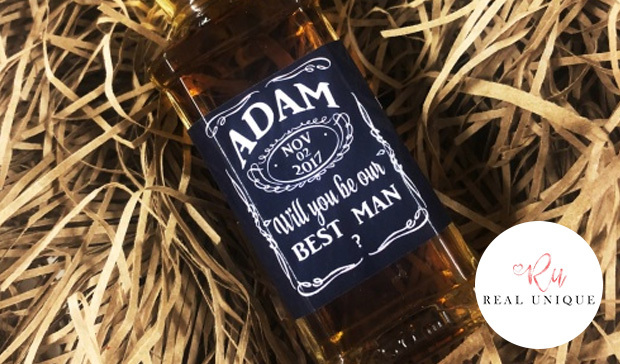 With Keep It Personal you can create your own message or they have a huge selection of best man products to choose from. No one wants to see an empty glass, so fill it courtesy of our favourite distillery, Glengoyne (they have their own ghost on the premises!). 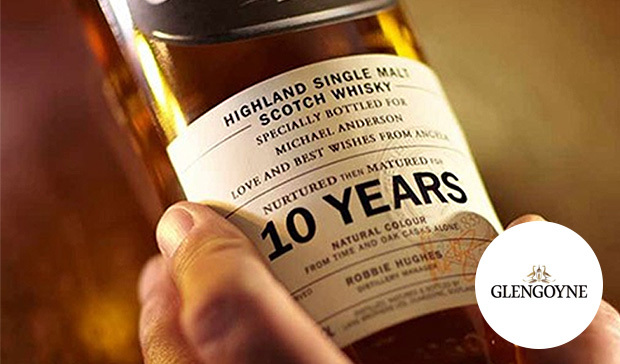 Not only can you present your BMF with something personal and personalised, it’ll be filled with one of the smoothest, richest whiskies he’ll ever have the pleasure of. Don’t actually want to buy him a whole bottle? Fair enough, go miniature with a personalised Jack Daniels miniature that has a handy Yes/No answer label. 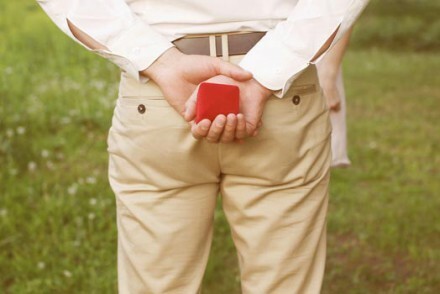 It’s also small enough that you can share it before heading into the ceremony on the day. A neat little idea from Real Unique. Cufflinks are cool, it’s as simple as that. But these designer bad boys from Sarah Hurley are a cut above. Literally as it happens, as they’re engraved in wood and make fantastic memento of the day plus they’ll stop his sleeves flapping about while he’s comedically ripping you to pieces during his speech. 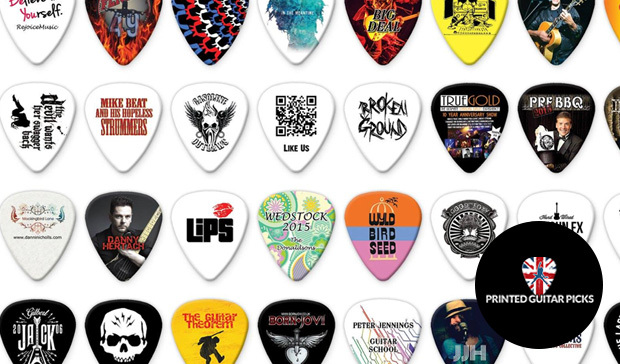 Thanks to Printed Guitar Picks asking your best man is the new rock ‘n’ roll. 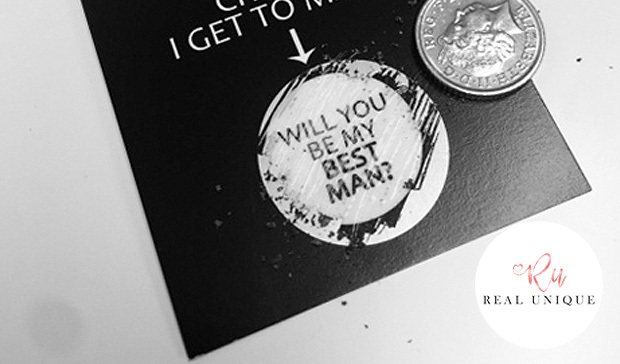 A great way to get him to say “I do” and give him a cool piece of rock wedding memorabilia. You can get your own design, a photo printed plectrum or keep it simple with a message… Then get the band back together man! Why just stop at the best man? 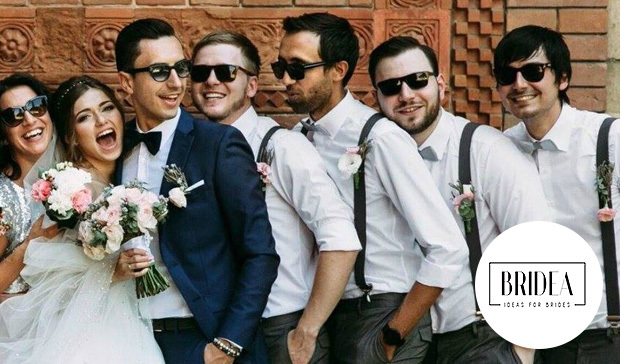 Thanks to Bridea you can get the whole of Team Groom kitted up with Best Man, Groom, Usher, Groomsman and Stag Party retro shades. 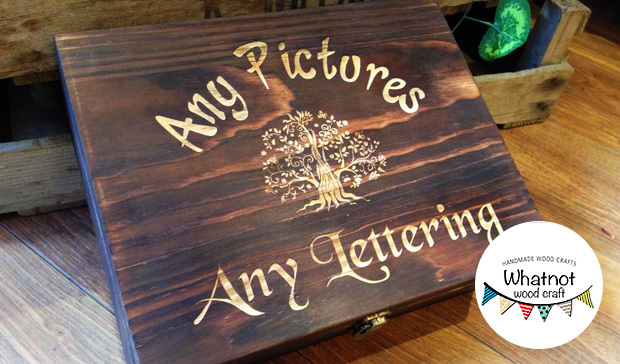 You can even personalise them by adding names or your message with a huge range of colours to choose from and fast delivery. “Be lucky!” This is a fun and different way to ask him, especially handy if he doesn’t live close by (or is currently incarcerated or simply not allowed out to play very often having tied the knot himself). 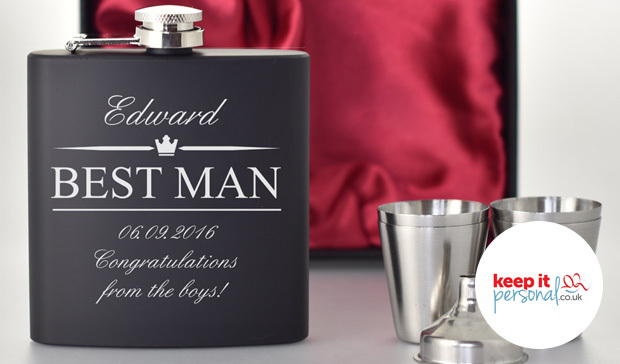 Real Unique have some funky designs and other useful gift ideas for the rest of your groomsmen. 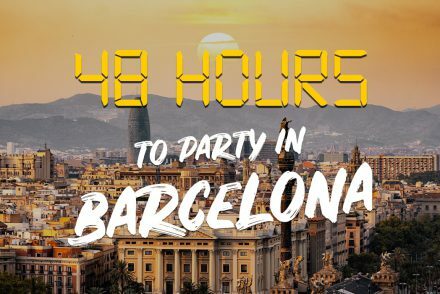 If he’s the kind of guy who enjoys a tipple or you just want to make sure he’ll have Dutch courage for you both to share on the day, then a flask is not only really handy, it also looks hip (see what we did there?). Pick a trendy design or use words of your own, just make sure he keeps it handy and full on the day. 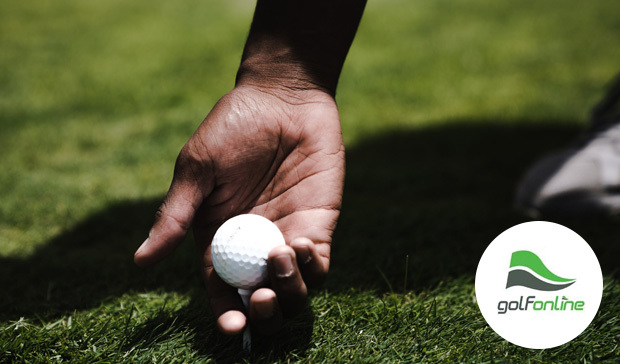 Rather than balls up your attempt to ask your best man to help get you through the biggest day of your life, hit the sweet spot with a personalised golf ball. While out playing you can keep the ball hidden and switch it with his at the right moment to surprise him. Then watch the Slice King hunting in the rough for hours to recover his new, special ball. 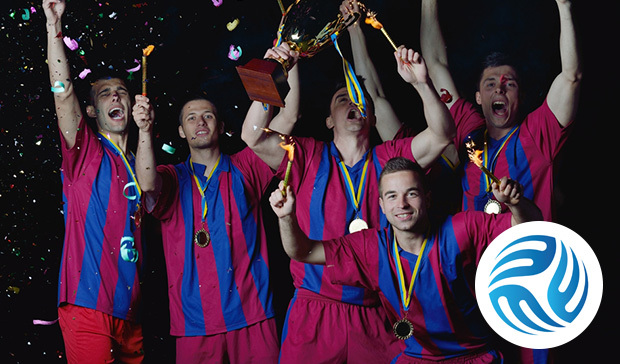 Celebrate your bond of love, laughs and football with a personalised football shirt. Add a number, name or message to ask him to be your wedding strike partner. Sure, he can’t actually shoot for toffee but at least he’ll look a complete player in a smart shirt from Direct Soccer. Ask the big question and free him from his own terrible dress sense by designing him something cool and personal with the T-Shirt Studio. 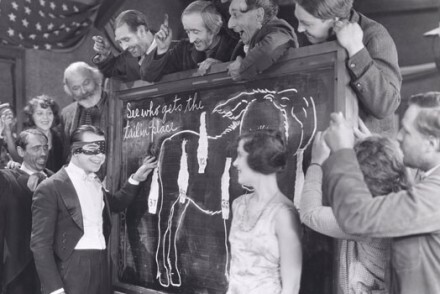 Really user friendly, you can upload photos or artwork, add your own words or message, just makes sure he knows he has to dress smartly on the big day. 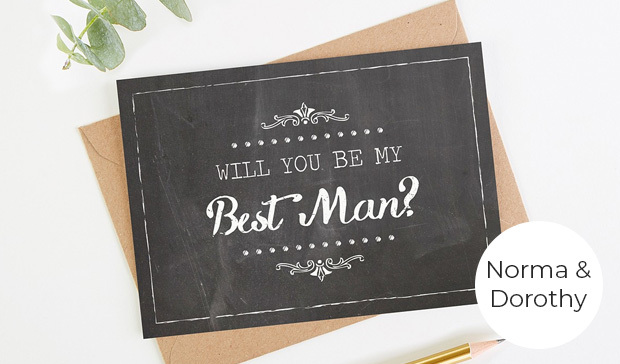 Now you could grab your crayons and make your own “Will you be my best man?” card or you can get this funky number from the arty geniuses at Norma & Dorothy. Retro, cool, classy and plenty of room for your own personal message inside. 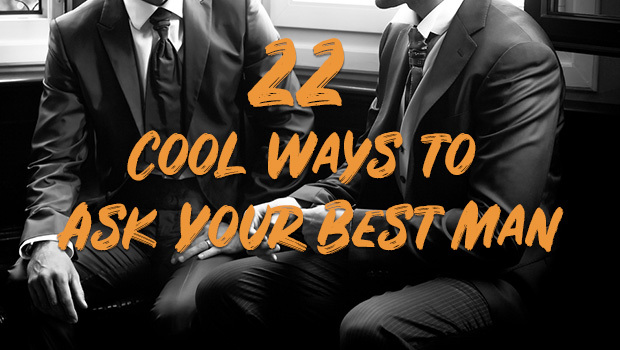 Just remember to be nice, he’ll already be planning your best man speech. If you want to up the stakes and add a touch more class to your question then Prestige Drinks have a very full drinks cabinet packed with top quality beverages that you can add a message to and even have the glass bottle etched to create something truly unique that any man would love. 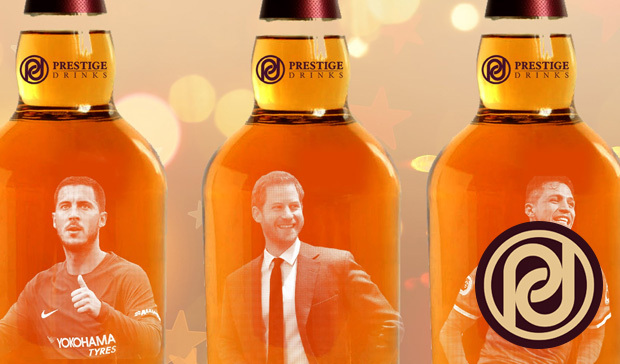 What could be better for your best man than picking up an ice cold bottle of beer with his own face on it? How about a bottle of beer with your face on it?!? 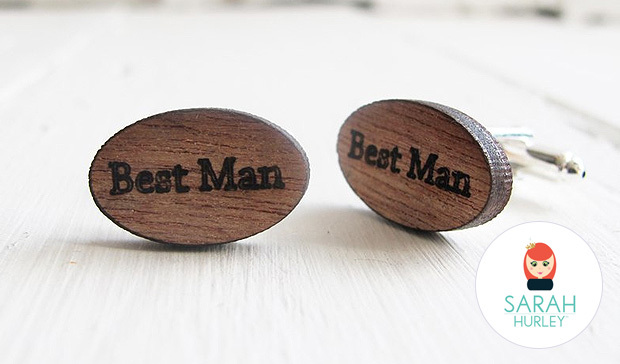 You can choose either as a brilliant way to tell him your news and ask him to be your best man. 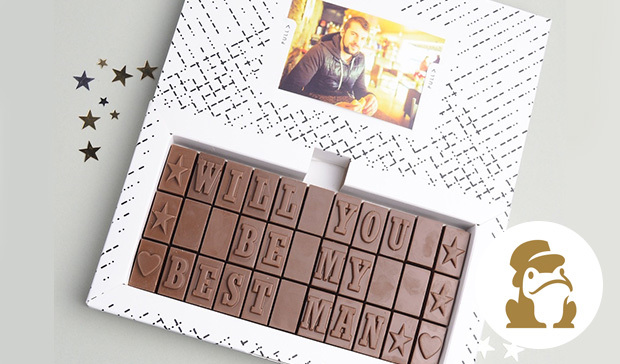 Chocs not to love about this sleek way of asking your friend/brother/close personal acquaintance to stand beside you than with his favourite sweet treat? It’s really easy to add your own message and a photo, then let his inner chocoholic take hold as he agrees to be your bestie. 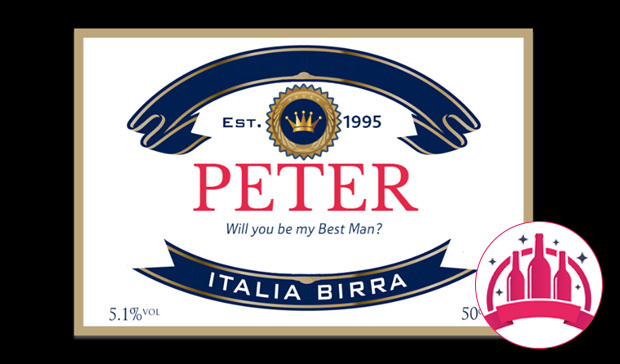 Get ‘team groom’ together and treat all your groomsmen to a beer with your own personalised labels. A nice way to surprise them all with the good news and ask them to be with you on the big day. 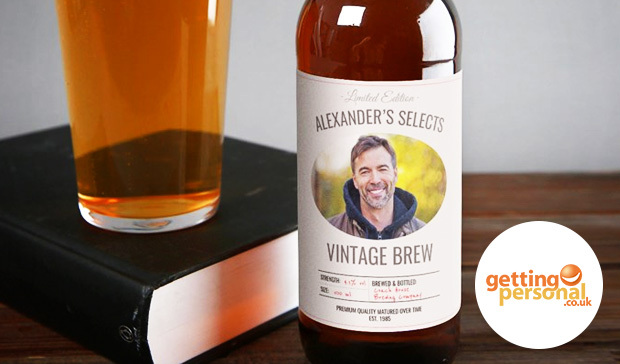 Create your own design or do a spoof of your favourite brew. 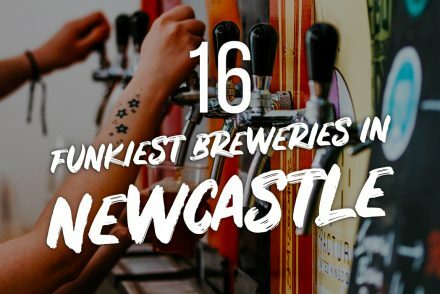 Not only is it a bit different, suitably slick, it also involves beer. Win/win/win! Friendship is like fine wine, it only gets better with age. 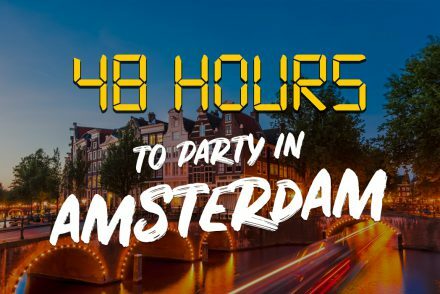 You can celebrate the fact that not only has your friendship lasted over the years but that he’s now the one guy you want beside you as you take your biggest step yet. 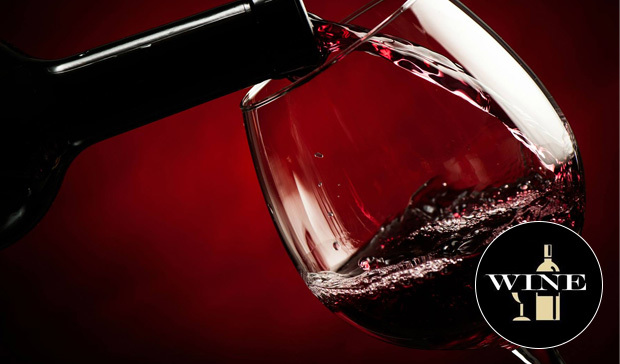 Personalised Wine Store have a fantastic selection of ways to say thanks and give him a great keepsake. Create your own message of thanks with a stylish wooden box your best man can keep his treasured possessions in, like the money he hangs onto when dodging his rounds. Make it personal by adding your own message to a simple but classy design like “Stop dodging your rounds!”. Wooden, manly, smart. Quirky, different plus he’ll have something to play with during the ceremony (you know how his mind tends to wander if he’s not kept occupied). White Knot have got something really different to ask your best mate, plus you can send it via post if he lives far away. Available in a range of colours and it’ll keep him happy for hours. 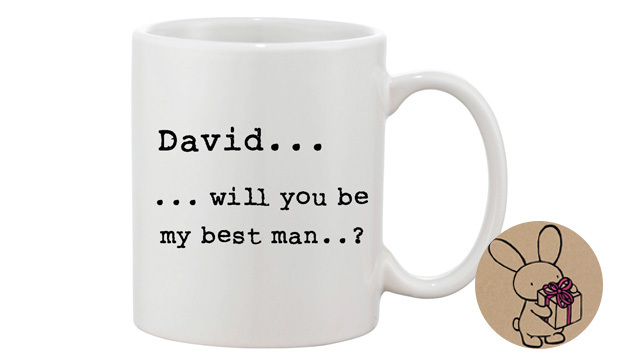 Proper mug, you mug, mugged off… There’s no end to the fitting tributes you can pay your best mate via his own best man mug. Super speedy delivery if you need it in a hurry and a great range of different gift ideas you can tailor to suit your needs for this most manly occasion.